Camp is open to ages 7-18 of all ability levels. Campers will enjoy training on the Jess Dow Field on the Southern Connecticut State University campus. Campers will learn from the Southern CT State coaching staff as they aim to help you improve your game. Day camp is open to players ages 10-18 with a half day option for 6-9 year olds. Join Revolution Field Hockey for what promises to be a great week of camp. Check In: Campers will check-in daily at 8:45am each day at the athletic field. Please allow a few extra minutes on the first day to allow for initial registration. Full Day campers are required to bring their own lunch. Half Day Campers depart prior to lunch. Check Out: Campers will check-out each day at 3pm. Half Day Campers check-out each day at 12pm. Below is a suggested list of items to bring to camp. We suggest that campers do not bring expensive personal items such as cameras, iPods/iPads, etc. Cell phones are allowed during lunch, but not on the field during training sessions. Please label every article you bring to camp. All items will be the responsibility of the camper. Revolution Field Hockey and its camp staff are not responsible for lost, stolen or forgotten items. Group Discounts: Team/Group discounts are given to groups who register together. For 5-9 players, the discount is $25 off for each camper. For 10 players or more, the discount is $50 for each camper. To receive this discount, please call our office at 800-944.7112 for a Coupon Code. This coupon code will enable all your group to register online individually and receive the discount. Players are grouped first by age and then by ability. The first session is an assessment session – we will update groups after the first day. You are responsible for getting yourself to and from campus, Revolution Field Hockey does not provide transportation. Any camper who must cancel prior to camp will receive a camp credit equal to the amount of camp tuition already paid. The credit is transferable to another family member and is good for any Revolution Field Hockey Camp or eCamps Partner program through next summer (agreement begins at time of purchase). Any cancellation within 5 days of the start of camp will result in a camp credit minus $100 cancellation fee. Camp credits are not extended to campers who leave camp after the start of a session. CASH/CREDIT CARD REFUNDS ARE NOT OFFERED UNDER ANY CIRCUMSTANCE. Former Owls’ All-American Ann Farrier is in her eighth season as an Assistant Field Hockey Coach with the Southern Connecticut State University field hockey program. 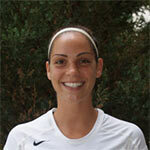 She also serves as a Co-Advisor for the Owls’ Student-Athlete Advisory Committee. As a student-athlete, Coach Farrier was a four-year starter and three-year captain from 2007-10. She captured All-America, All-ECAC, and All-Conference honors and was also selected to play in the NFHCA Senior All-Star Game in her final season. She was a two-time All-Conference performer who still holds the Owls’ single-season assist record, while ranking second in career assists and fifth in points. Ann also excelled academically as a multiple NFHCA All-Academic Team pick and as a selection to the Northeast-10 Conference Field Hockey All-Academic Team. Ann was recently selected as a participant for the 2018 NCAA Women Coaches Academy. She has additional coaching experience with the Futures Program as well as with the Westport (Conn.) Middle School.